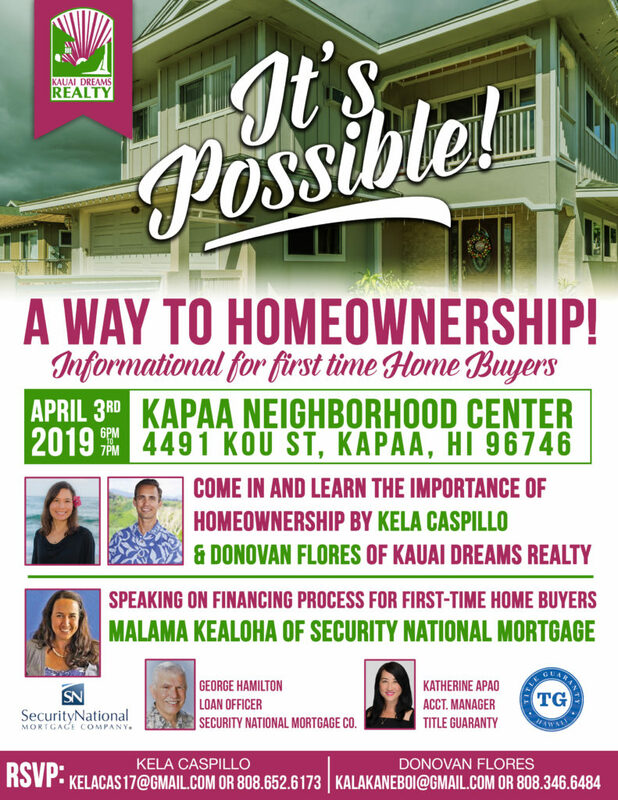 Looking for a way to homeownership on Kauai? Its Possible! See our flier for our up coming class below. Security – Security is the state from being free from danger or threat. Land lords are allowed to give their tenant’s a 45 day notice for any reason unless their is a lease protecting the tenants for that period of time. Homeownership allows for a secure living area where someone does not have to worry about receiving a 45 day notice letter. Fixed Payments – Who wants a rental increase? Rents are usually increased with the market demand. With having a mortgage the payments are fixed and wont increase. Homeowners can pay over the amount of their monthly mortgage payment if they wish to pay off their mortgage faster. Equity – Is the amount of the home actually owned by the homeowner and not by the mortgagee. By paying a mortgage the total balance of the loan is slowly getting paid off. Once everything is paid off or even partially paid off the homeowner will own a valuable asset with a lot of equity! Tax Benefits – The government rewards us for getting a mortgage! In the form of being able to write off your mortgage interest. By doing this a person should see more money from their paychecks. Appreciation – Over time your property will appreciate and become more valuable. This can increase a persons equity in a property. 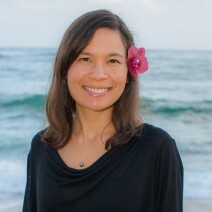 Properties in Hawaii appreciate very quickly due to the limited amounts of land and desire to live in Hawaii.